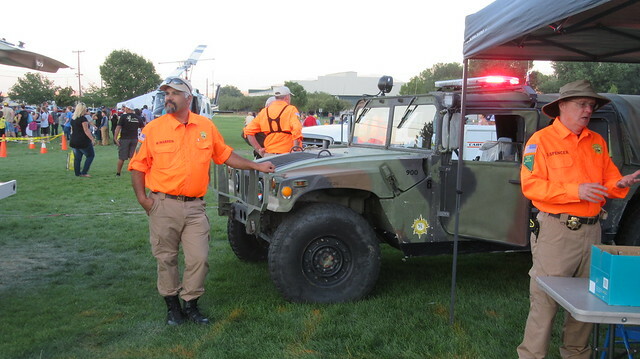 Members from our SAR team attended National Night Out on Tuesday, August 2nd. National Night Out is an annual community-building campaign that promotes police-community partnerships and neighborhood camaraderie to make our neighborhoods safer, better places to live. 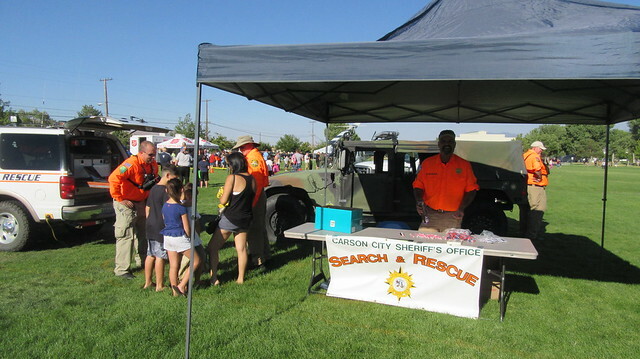 The event had free food and refreshments, and there were games, information booths, safety demonstrations and more. 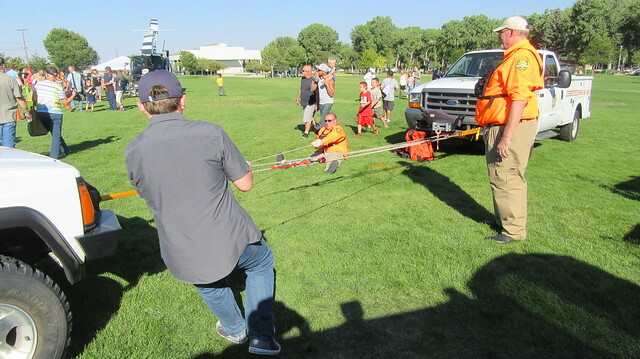 The SAR team setup a tug-o-war with a 5:1 mechanical advantage. Unsuspecting contestants were invited to the challenge, where we then matched the younger siblings against the older. The older kids dug their heels in to no avail, while the younger kids ran away with the rope. 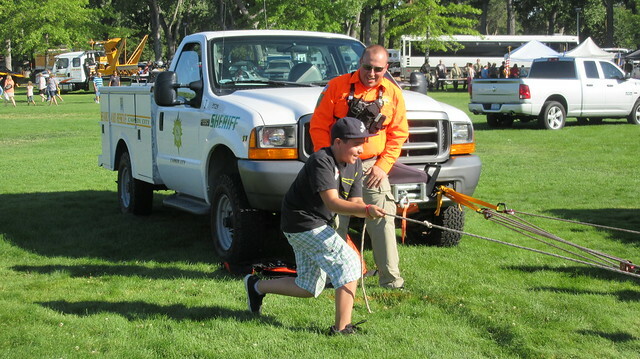 It made a great demonstration of how we might use a similar rope system in an actual rescue. We also had the opportunity to talk with parents and hand out Outdoor Activity Insurance flyers, giving citizens tips for safely exploring and surviving in the backcountry. Also a hit with the young crowd was our Humvee. It was on hand for the kids to sit in and get a photo. 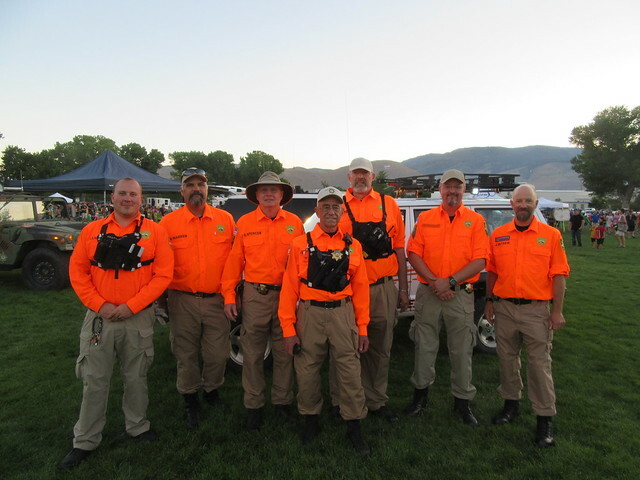 As much time as we spend training and doing callouts in the backcountry, it’s nice to get to spend some time with the public and introduce ourselves! We had a great time along with everyone else. 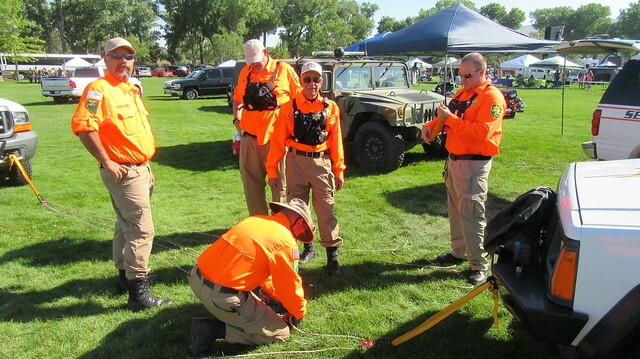 More coverage of this event can be found on the Nevada Appeal here.